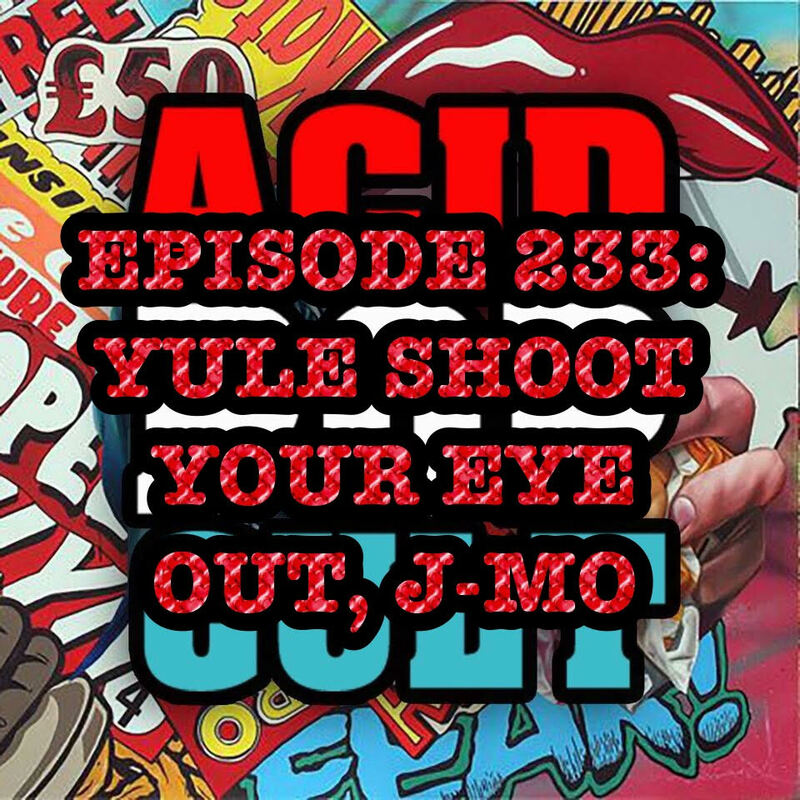 On the latest episode of the Acid Pop Cult Podcast, Jason and Jeremy bring us up to speed on how they’ve been preparing for Christmas. First up, Jason fills us in on the latest holiday party over at the Mojo Dojo and one helluva secret he finally lets his mom in on. J-Mo and Producer Danielle give us their glowing review of a night out on the town when they let us know how the Impractical Jokers live show is as the Tenderloin’s recently hit up the Chicago Theatre on the “Santiago Sent Us” tour. Then, J-Mo shares his latest entries in the 366 Challenge with lengthy discussions on The Goonies, Point Break and Tombstone. Finally the boys exchange some very thoughtful gifts with one another and Producer Danielle suffers a concussion at the hands of Action Jackson and his gift from Ol’ Pop-Pop Price. As always, ’tis the season to leave a rating or review on iTunes. Share this one with the whole family if you want to keep yourself from future holiday gatherings. It’s out present to you!